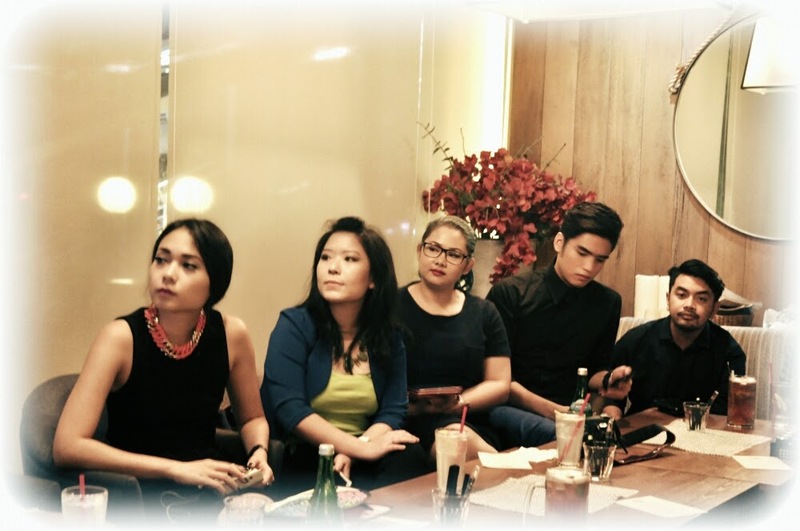 hanny.only: PAC Asian Beauty Awards 2014 Exclusive Media Meet Up! PAC Asian Beauty Awards 2014 Exclusive Media Meet Up! 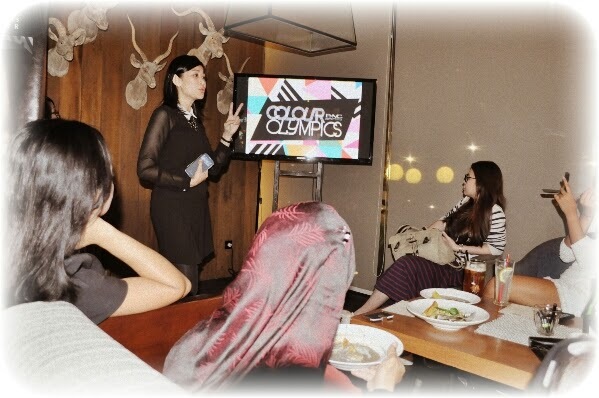 So few weeks ago, PAC, my fave local makeup brand from Martha Tilaar Group, invited me to their exclusive media meet up. They were about to pronounced all the excitement that awaits on the 8th Asian PAC Beauty Awards that will be held on October 25th 2014 as a part of international music festival, Sounds Fair 2014, presented by Java Festival Production. Who's got excited? Me, for sure. Ms. Angelique PAC explained all about the upcoming event from A to Z. Thank you PAC team for the pics. 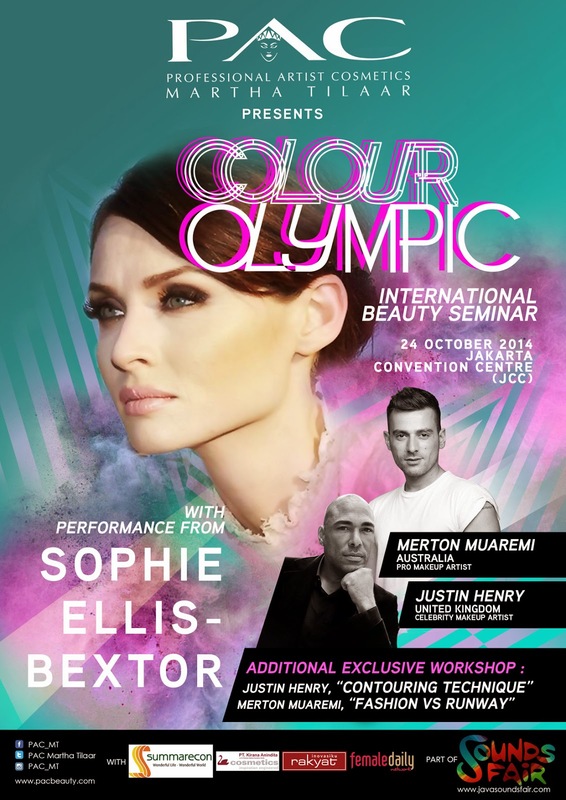 This year's event will be opened with International Beauty Seminar & Workshop on the 24th of October 2014. With two famous international makeup artist, Justin Henry (Celebrity MUA) and Merton Muaremi (Famous MUA and Hair Stylist) both based in Melbourne, as speakers, sure we couldn't miss this one. Justin will be sharing about Contouring Techniques tips & tricks (geez, so important! ), and Merton will talk about Fashion VS Runway techniques. Can you feel my heart beats like crazy just writing all this? The joy. Besides that, there is more excitement. If you are about my age, 90's junkies, or simply an old soul, does MURDER ON THE DANCE FLOOR rings a bell?? If yes, then you will be shrieking, cause SOPHIE ELLIS BEXTOR also will be coming on the event as one of a guess judges for the makeup competition as well along with Krisdayanti, Pinkan Tilaar and Indonesia's MUA, Derry. Okay, so about the competition. 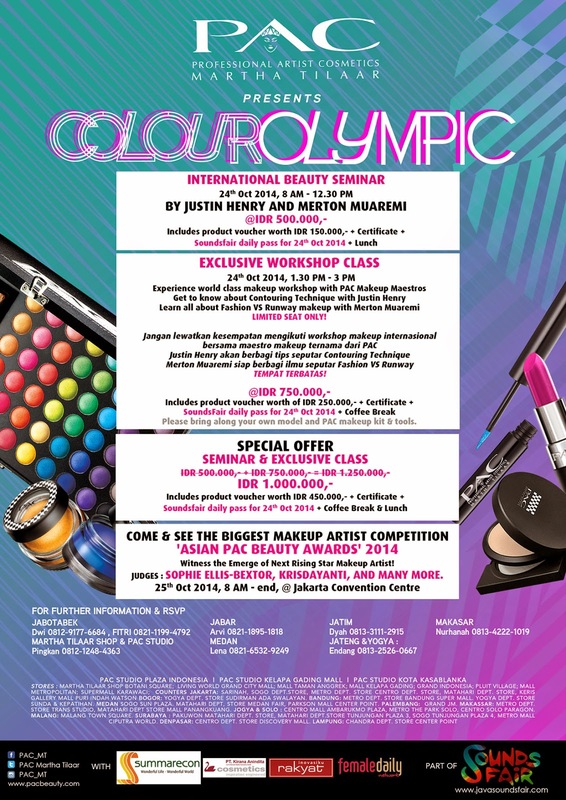 All the participants should make a Colour Olympic makeup theme. Based on PAC's up and coming palettes that also will be launched on the event, this theme was inspired by world of sports that's colorful and dynamics. I've seen the sneak peek of what the palettes would be like. There will be two variants "Colour Olympic" and"Pop Rock". It's so fresh and colorful, cannot wait to get my hands on that one. And FYI it's limited edition. Yum! Like years before, there are two categories on the makeup competition, NATIONAL & INTERNATIONAL. In a hope to find new talents in makeup world and giving them a chance of a lifetime, with fabulous prices and beauty course abroad (Europe) to widened their horizons. I was meaning to join the nationals but i need to collect my confident first, maybe next year, amen! For dates and event schedule, check out this flyer.